One of my favorite ways to showcase delicious, vine-ripened tomatoes is in a fresh salsa. This recipe is surprisingly simple and easy to create, but do yourself a favor and do not leave out the secret ingredient– ume, or plum vinegar–which adds a sweet tanginess while showcasing the ingredients perfectly. It will most likely involve an extra trip to a specialty store to find it, but you won’t be disappointed by the outcome. 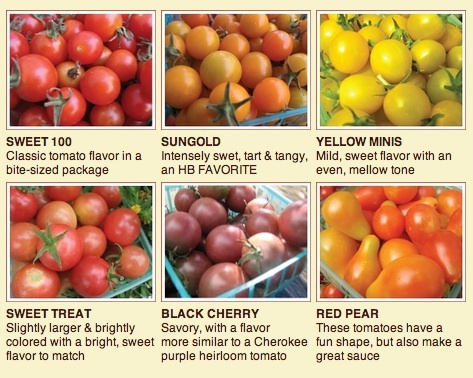 I like to use a mix of different tomatoes, to add variety in terms of both color and flavor. Larger heirloom tomatoes are the easiest to dice, but throwing in a handful of a few different types of chopped cherry tomatoes can really add depth and interest to the salsa. Be as creative as you want when choosing your tomatoes. 1/8 cup Ume (plum) vinegar (can usually be found at Asian markets or Whole Foods). Begin by roughly chopping the first six ingredients. If you choose to use a food processor, make sure you don’t over-chop the ingredients. You want the salsa to turn out more like the consistency of pico de gallo. Combine your chopped ingredients into a bowl and add the next two ingredients. I then add the olive oil a bit at a time because depending on how much liquid the salsa has at this point, sometimes it won’t require the full 1/4 of a cup, otherwise it might become too watery. The last step is to add the salt and taste the salsa, adding more of any ingredient that seems to be lacking. I like to double or even triple this simple recipe for parties and typically it’s a total crowd-pleaser. Enjoy!